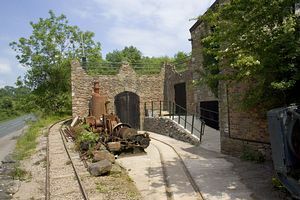 When you visit Clearwell Caves you are entering some of the very oldest underground workings in Britain, and can see first hand the impressive caverns created by generations of Forest people as they struggled to make their living mining iron ore and ochre. On the show mine you descend 100ft underground, wandering through nine impressive caverns with mining equipment and geological displays. For adventurous visitors we have a range of extended trips with caving experiences that explore the warren of deeper workings left exactly as the miners left them centuries ago. Gift Shop selling souvenirs, crystals and minerals. 1.5 miles South of Coleford. Follow the B4228 road towards St Briavels and Chepstow. After approx. one mile, turn right for Clearwell village (immediately past the Lambsquay Hotel). The car and coach park is clearly visible after a few hundred yards.